Theodore Teddy Roosevelt the Man in the Arena Quote 8x10 Framed Picture with Black Border by WeSellPhotos at HoldUp Art. MPN: B013I1TL52. Hurry! Limited time offer. Offer valid only while supplies last. 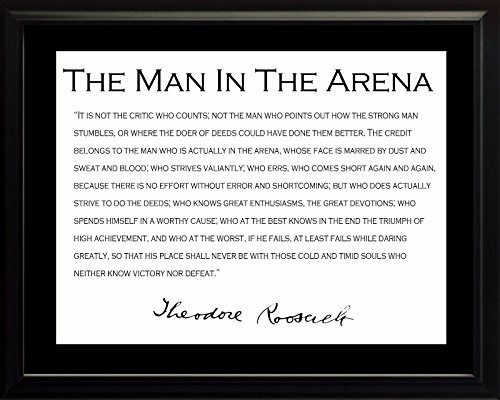 This 8'' x 10'' framed picture features one of Theodore Teddy Roosevelt's most famous quotes, The Man in the Arena. It comes with a shiny black frame.